The UK emerging markets bank is making good progress on shedding its worst assets. But with third-quarter revenue only flat on the previous three months, it’s all the more important to hit cost targets. The challenge is doing so without losing more business. Standard Chartered’s operating income for the third quarter was $3.5 billion, the same as the second quarter but 6 percent less than the $3.7 billion recorded in the third quarter of 2015, the bank announced on Nov. 1. Underlying pre-tax profit was $458 million, compared to a $139 million loss in the third quarter of 2015. The assets in the group’s liquidation portfolio it is running down has fallen to around $6 billion from $20 billion, while the estimated $3 billion of charges associated with the process has not risen. The group said its top-line performance was driven by a better result in Hong Kong, but a flat performance in ASEAN and South Asia and lower income in Africa, Middle East, Europe and the Americas. StanChart said the Prudential Regulation Authority had increased StanChart’s so-called Pillar 2A requirement, meaning the group’s minimum core Tier 1 capital ratio in 2019 h risen from 9.2 percent to 9.8 percent. The group is currently at 13 percent. 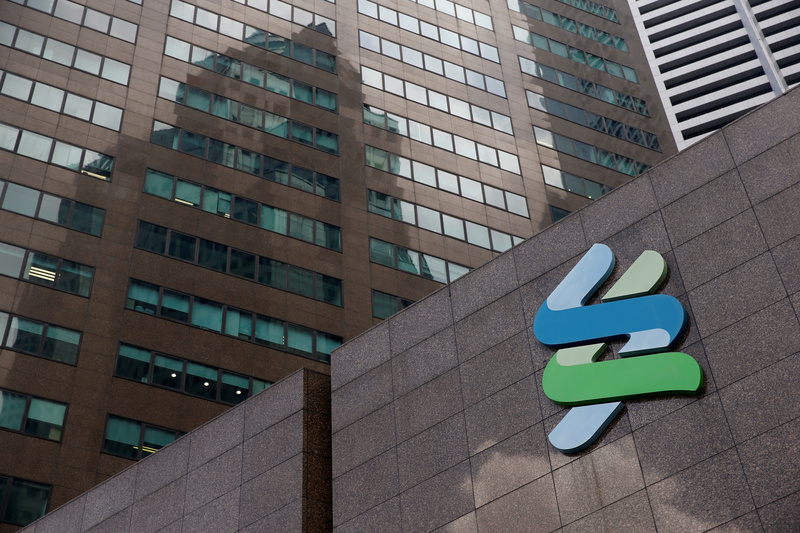 As of 0945 GMT on Nov.1, StanChart shares were trading at 667 pence, down 6.4 percent.